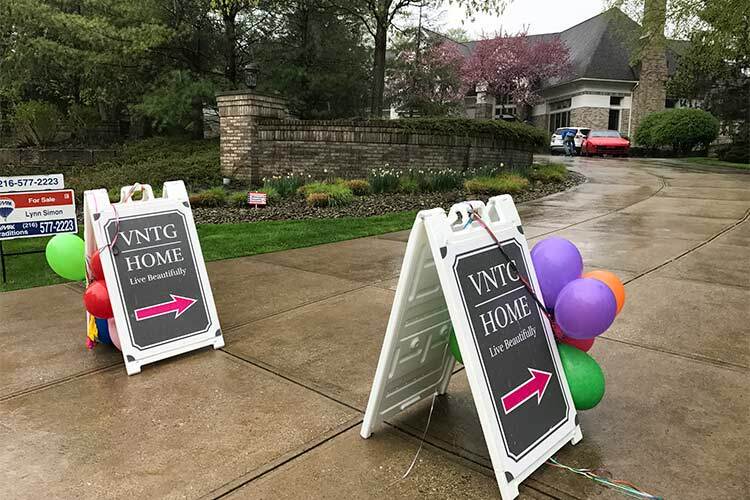 Heavy rain didn't stop more than 1,400 Clevelanders from attending the "VNTG Modern" open house last weekend at a Gates Mills mansion. Revelers noshed on light bites from chef Zack Bruell, enjoyed live piano music, and sipped champagne while exploring the sprawling estate. Not only was the 14,231-square-foot mansion for sale—but so were all the furnishings inside, straight from the Tyler Village showroom of VNTG Home. 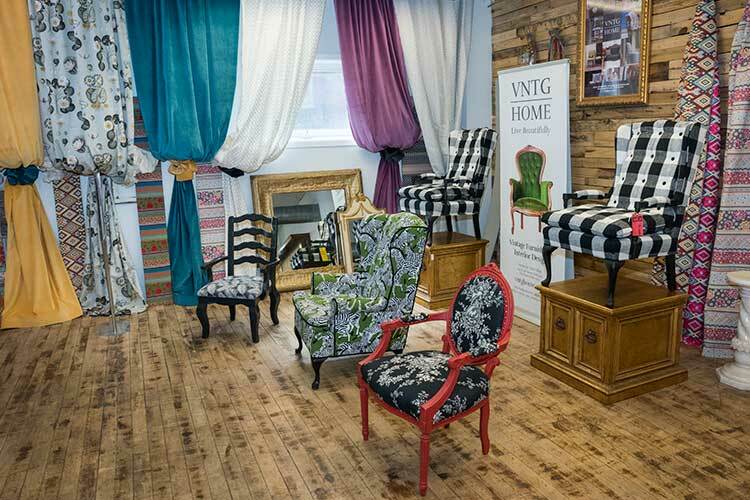 The event was the pinnacle of a monthlong celebration of VNTG Home's one-year anniversary. Other highlights have included a birthday sale and a similar, but more intimate event at a historical Cleveland Heights home (also on the market). "Between the two [event] weekends, more than 2,200 people were able to see our vision of living beautifully and participate in the VNTG vibe," says owner Megan Featherston. 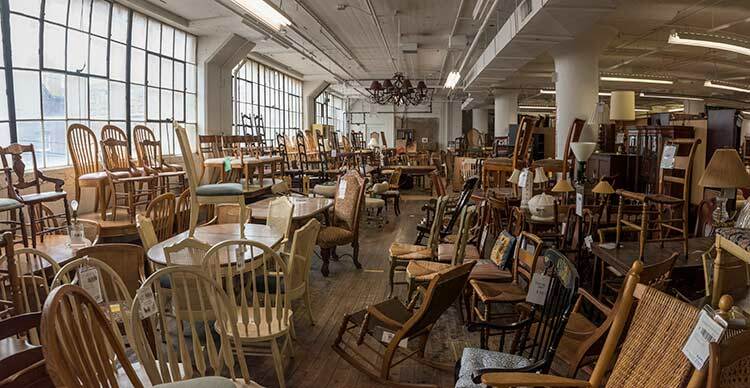 There's plenty to celebrate—in the year since it opened, VNTG Home has grown its customer database to more than 12,000 people and sold over 11,000 pieces of vintage furniture and decor. According to Featherston, the store's inventory runs the spectrum from Arts and Crafts-era to mid-century modern to even items from the 80s. "When I put together the business model, I decided to open our flagship [location] in Cleveland because it felt like the right place for this business and the right place for me," says Featherston, who moved here from New York in 2014 to take on an executive role at Hudson-based Jo-Ann. "One year later, it feels like Cleveland is really responding to our 'old soul' furnishings business and services." 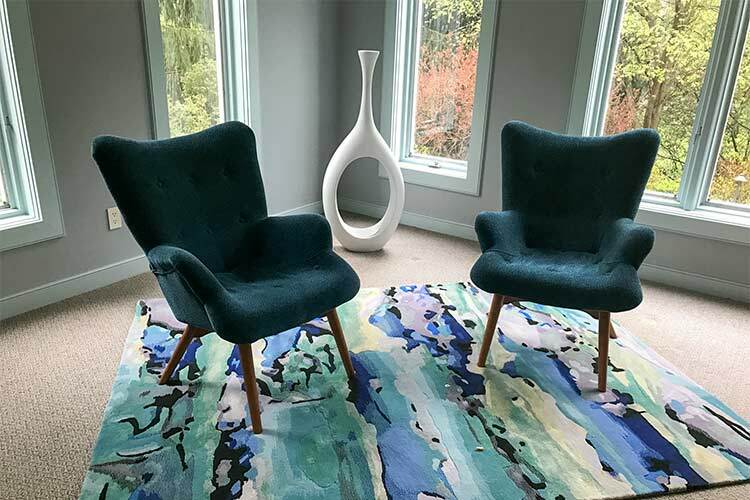 With the mid-century modern love still going strong and the resale industry growing at an average of seven percent, pre-loved vintage furniture seems to be having a moment, but Featherston is just getting started. "Baby boomers are now wondering what to do with $87 billion worth of furnishings in their homes and in their storage spaces," says Featherston. "We unlock the value of it by introducing it to a whole new audience at VNTG Home and online." Featherston's entire approach is targeted not only to baby boomers, but also millennials—especially in light of recent research showing that 63 percent of millennials prefer to purchase vintage furniture. "They have the American wallet because that's where they are in their earning years, but they live their lives very differently than any generation before them," says Featherston. "They're not materialistic, and they're environmentally and socially conscious, so they love the affordable nd eco-chic aspects [of reusing furniture]." Featherston has also introduced an upcycling service with millennials in mind. After purchasing a piece online or in-store, buyers can get creative by choosing from over 100 paint finishes and 800 fabrics to give a piece new life and vibrancy. "People love to change things up a lot and make them fun and whimsical," says head designer Terry Vasil. 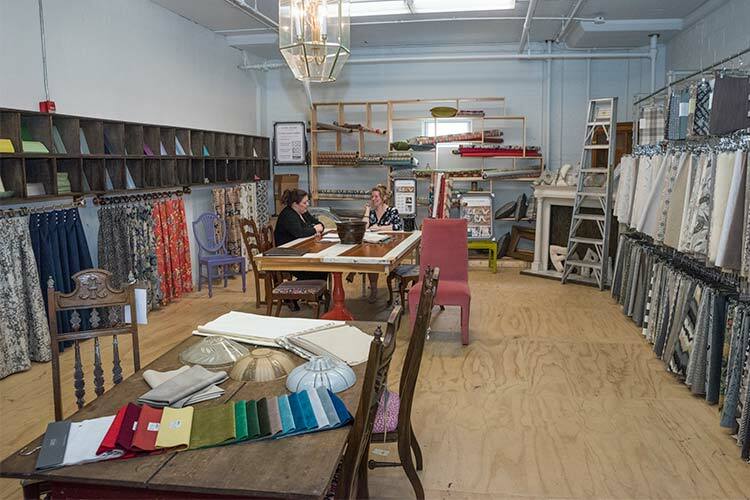 To support VNTG Home's growth, Featherston recently invested in a separate 53,000-square-foot warehouse on Marquette Street (just a few blocks away from the current Tyler Village location). The new space will house the company's operational headquarters, as well as an upcycling studio, workspace for upholstery, and inventory storage. "It's amazing how fast you can fill up a 26,000-square-foot showroom, so we're excited about having a space to support our infrastructure," says Featherston. "Now that we have operational room, we can make greater strides faster. " Adds Vasil of the upcycling possibilities, "All of the furniture and artisans will be under one roof, allowing greater efficiency." The new warehouse will also enable VNTG Home to grow its upholstery business, which Featherston calls a "unique differentiator. " In the future, Featherston wants to run a trade school of sorts and teach emerging skilled tradespeople the art of upholstery. "Having the new space will open up more possibilities for training more young people and then inviting them to join our team," she says. Featherston is also putting greater focus on VNTG Home's non-retail services, which include real estate staging, home transition, packing, and estate sales. "Right now, we're on fire with staging people's homes," says Featherston, adding that they do a large amount of work in areas like Cleveland Heights, University Heights, Pepper Pike, and Moreland Hills. "We were very fortunate that the first few homes we staged sold within the first day at asking prices, so now we're hearing from a lot of realtors." She cites the recent events in Gates Mills and Cleveland Heights as showcases of sorts for their staging services, with hopes to do more events in the future. "We'd like to keep Cleveland following the path of what's possible with the VNTG Home design aesthetic and services," says Featherston. "It's a great way to engage with the community in a more authentic way."